Find out what you need to know about fixing up your home to avoid costly maintenance. When it comes to your home maintenance, it’s important that you fix any issues before they become serious. That way you can keep your home in great shape. Check out what you need to know about fixing your home’s problems so that you can keep repair costs low. Here’s your guide to home maintenance. When it comes to your home maintenance, it’s important to pay particular attention to your home’s plumbing. A burst pipe or a tiny leak can wreak havoc on your home, creating water damage and mold growth that can be expensive to repair. Be kind to your pipes and be on the lookout for any leaks, signs of rust, or so that you can repair them before it’s too late. Electricity has come a long way over the years, however, if your home is older, you may need to update your electrical wiring. 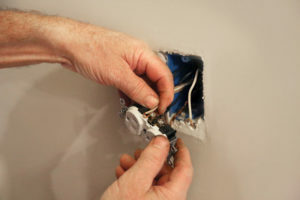 Outdated wiring can pose a grave risk of a house fire or electrocution. Ensure that you don’t overload any one outlet and that all your outlets are protected with ground-fault circuit interrupters so that you can minimize your risk. Your roof is an important component when it comes to keeping you safe from the elements. Ensure that your roof is in tip-top shape with annual roof inspections. Keep an eye out for any slopes or damaged or missing shingles so that you can repair them to keep your home safe from disaster. Find out what you need to know about fixing home issues, so you can take care of them before they become major problems. Keep up on your home maintenance and invest in the right homeowners insurance. Contact the professionals at Robert J. Los Insurance Agency tohelp you find the right coverage. Located in Hamburg, New York, we serve all your personal and commercial insurance needs.